At first blush, growing plantations of bamboo to sequester carbon dioxide for climate change mitigation seems like a very practical idea. 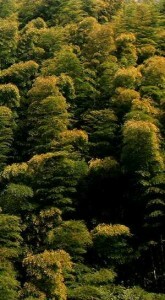 Bamboo grows rapidly; it stores large amounts of carbon; the leaf litter contributes to carbon storage in the soil; and products from harvested bamboo still store carbon. Even when bamboo is harvested and used to make things, key to establishing how long carbon can be stored is the durability of products made with it. Untreated bamboo is very vulnerable to attack and destruction from insects and fungi. Treated bamboo however, such as bamboo used to make houses, floorboards, and roofing are much more durable and a long life could be reasonably expected. Düking suggests that carbon storage in bamboo can be approached in one of three ways: “(1) carbon storage in the ecosystem of a bamboo stand, (2) carbon storage in bamboo products, or, (3) sustainable bamboo stands as protection of old natural forests”.5 This, of course, presents particular challenges in carbon accounting. Calculating the amount of carbon sequestered in bamboo bio-mass was a sticking point in the development of bamboo forests for carbon sequestration, until recently. 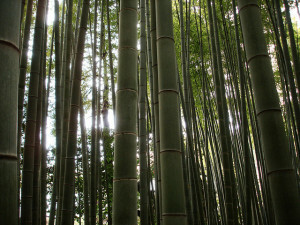 An accounting method specifically for bamboo was developed by INBAR and a Chinese partner. This methodology is now approved in China and Chinese companies can now buy carbon offsets from local bamboo plantations. In a future post, I plan to explore this topic further. Do you have any experience with bamboo carbon sequestration? Liese, W. (2009): Carbon fixation by bamboo: fact or fiction. In: Proceedings of the 8th World Bamboo Congress, Bangkok, 2009 Sept. 16 – 19, Vol (3), 71- 77. Midmore, D.J. (2009): Bamboo in the global and Australian contexts. In: Proceedings of Workshop “Silvicultural management of bamboo in the Philippines and Australia for shoots and timber”, ACIAR, pp14. Kuehl, Y., Li, Y., & Henley, G. (2013). 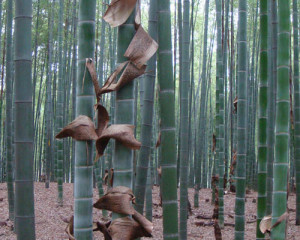 Impacts of selective harvest on the carbon sequestration potential in Moso bamboo (Phyllostachys pubescens) plantations. Forests, Trees and Livelihoods, 22(1), 1-18. Düking, R., Gielis, J., & Liese, W. (2011). Carbon flux and carbon stock in a bamboo stand and their relevance for mitigating climate change. J Am Bamboo Soc, 24(1), 1-7. This entry was posted in All, Bamboo around the world and tagged bamboo, bamboo carbon sequestration, bamboo forest, carbon credits, carbon sequestration, China, harvesting bamboo on 26/01/2014 by Deb.